Skygate Dental offers a comfortable calm atmosphere for Children Dentistry; in a family-focused dental practice. The best time to start proper oral hygiene is early with kids! This allows for good habits to continue as they get older. To ensure that your child maintains a strong healthy set of teeth; regular check-ups and cleans are a must. 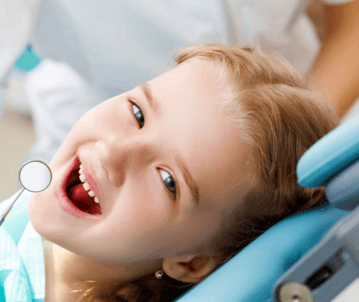 For professional care in a relaxed atmosphere the Skygate Dental Team will ensure your child’s visit is as comfortable as possible. Our team of professionals know the importance of communication and building trust in patients. This is a must with Children Dentistry to allow young patients the time to relax and have the best experience possible. From the first visit, the process will be allowing for familiarization with the dental setting and meeting the team. Every effort will be made to make it enjoyable and friendly as possible. For more information or to book your child’s appointment today. 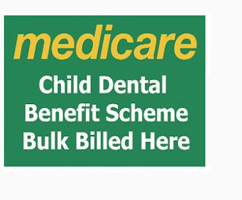 Child Dental Benefits Scheme is a government run scheme aimed at aiding children in developing proper oral hygiene from a young age. This scheme helps children who are eligible subsidized there dental care costs on a yearly bases until they are 18.